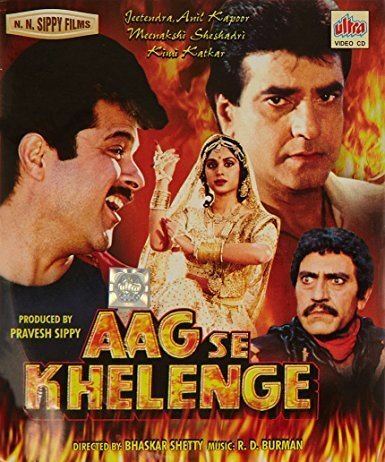 Aag Se Khelenge (English: Playing with Fire) is a 1989 Indian Bollywood Action film produced by Pravesh Sippy on N.N. Sippy Productions banner and directed by Bhaskar Shetty. 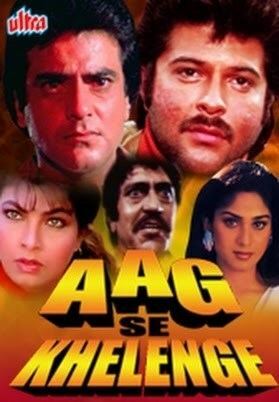 Starring Jeetendra, Anil Kapoor, Meenakshi Sheshadri, Kimi Katkar in pivotal roles and music composed by R.D. Burman. Inspector Shekhar Kapoor's only mission in life is to end the atrocities of underworld don Zaka and his son Shaka. In the course of his investigations, he bumps into a small-time criminal Johnny. But as it turns out Johnny reveals that he is actually police inspector Ravi Saxena, a cop from Delhi. And that he has sneaked into Zaka's team in the guise of Johnny only to destroy them. Shekhar and Johnny decide to work together on their common mission. However, tables turn when Shekhar discovers from his office in Delhi that Inspector Ravi was killed six months ago. Pinky Saxena, a mere child, has been traumatized by the brutal killing of her mom, Sharda, and dad, Inspector Ravi Saxena, at the hands of Zaka and Shakha, so much that she is hysterical and has to be institutionalized. Her only relative is Raja Saxena, who has sworn to avenge this killing. Raja is able to get away by identifying himself as his brother, with a false identification. 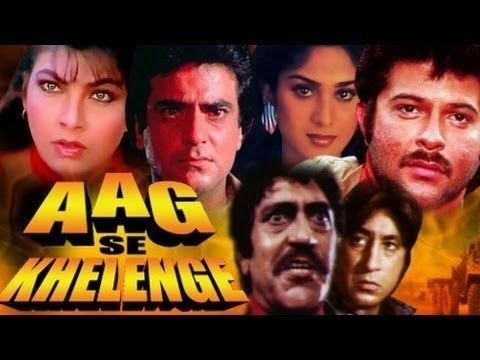 But will this escapade result in him avenging the brutal killings, or will they merely entangle him hopelessly with Inspector Shekar and the law?